On July 8th, a $13,961,049 verdict was upheld by a Court in Long Beach, California, in favor of 46 year old truck driver Felipe Curiel, against SSA Marine, Inc., the world’s largest maritime docking company. This verdict is believed to be the largest verdict in Long Beach history. Trial lawyers Brian Panish and Spencer Lucas of Los Angeles’s Panish Shea & Boyle LLP represented Mr. Curiel in the month long trial. On February 3, 2009, an SSA Marine crane operator negligently caused a 25,000 pound container to fall from 40 feet high onto Mr. Curiel’s truck cab. Mr. Curiel was crushed and pinned inside his truck and suffered two fractures to his spine. The Long Beach Fire Department Urban Search and Rescue team successfully extricated Mr. Curiel from the wreckage and transported him to St. Mary’s Medical Center, where he spent 41 days. Mr. Curiel suffered a burst fracture in his lumbar spine causing permanent neurological deficits including lower body weakness, sensory loss, and bilateral foot drop. After a successful back surgery Mr. Curiel is able to walk with the assistance of leg braces and a cane. At trial, it was undisputed that Mr. Curiel has chronic pain syndrome and will suffer from pain and physical limitations the rest of his life. FELIPE CURIEL V. SSA MARINE INC., et al. 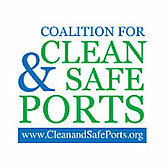 The Coalition for Clean & Safe Ports – Deadly Dangers in Port Trucking Exposed, Again A jury awarded a $14 million injury settlement in the gruesome accident at the SSA Marine terminal at the Port of Long Beach that forever changed life for a 42-year-old truck driver. In February 2009, Felipe Curiel miraculously survived after suffering massive injuries from being pancaked in his rig by a cargo container at the hands of an SSA crane operator. While his career ended that day, today he manages to walk with leg braces and a cane…..